"I've discarded the bonnet and corset for an exosuit and a huge sword, it seems. I was looking for something very different from anything I have done before. This was definitely that. "I even learned Krav Maga, a lethal martial arts using pretty much everything including your teeth to destroy. That was pretty fun." The movie also stars Bill Paxton, Kick Gurry, Dragomir Mrsic, Charlotte Riley, Jonas Armstrong, and Franz Drameh. The trailer will be released tomorrow, so stay tuned! Edge of Tomorrow is set to hit theaters June 6th, 2014, and here's the synopsis! 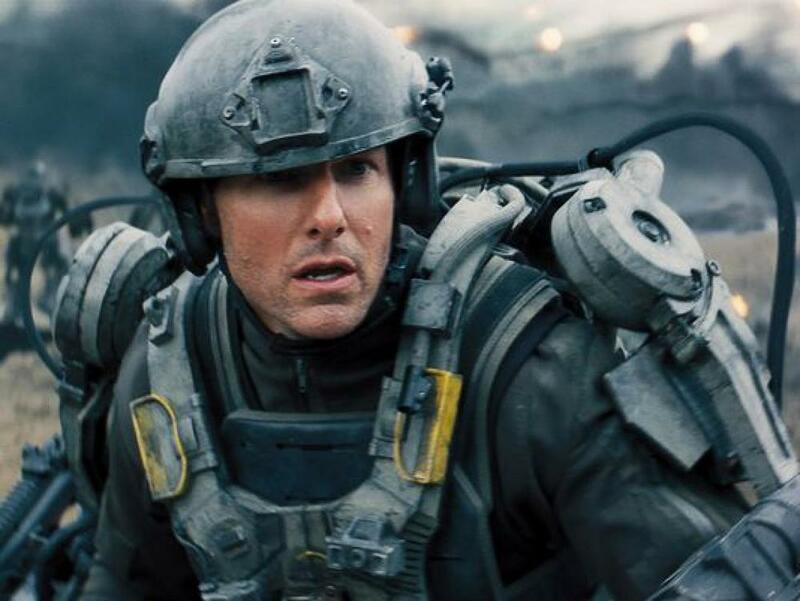 The epic action of Edge of Tomorrow unfolds in a near future in which an alien race has hit the Earth in an unrelenting assault, unbeatable by any military unit in the world. Lt. Col. Bill Cage is an officer who has never seen a day of combat when he is unceremoniously dropped into what amounts to little more than a suicide mission. Killed within minutes, Cage now finds himself inexplicably thrown into a time loop—forcing him to live out the same brutal combat over and over, fighting and dying again…and again.